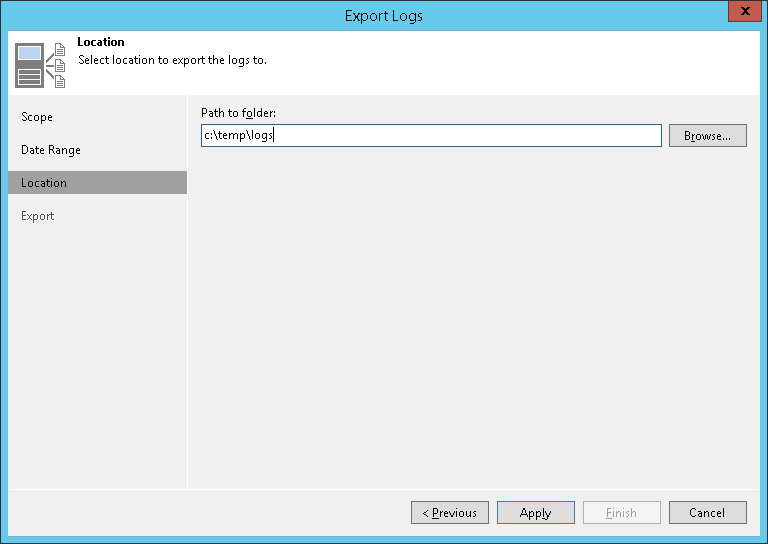 At the Location step of the wizard, specify the destination folder to which the logs will be exported. In the Path to folder field, specify a path to an archive with log files that will be created. By default, the archive is placed to the C:\temp\logs folder on the backup server.